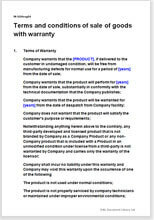 Standard terms and conditions document, including a manufacturers warranty,suitable for the sale of any goods. Simply stating that a product carries a replacement warranty for so many years is actually taken to be a deprivation caused to the end user from the conditions attached to such warranty. 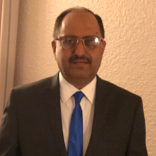 Making the conditions governing the sale and warranty of a manufactured product a part of the product brochure or sales documentation aids the seller in safeguarding himself from unnecessary consumer litigation.